People how can you not love this creepy face? I'm pretending here that it's actually warm enough to be outside without a jacket... yea I'm warm... sure. This top my mom bought for herself from J. Jill. When I saw her wearing it I made her get it for me asap (yes if we wanted to wear it on the same day we'd be twins). 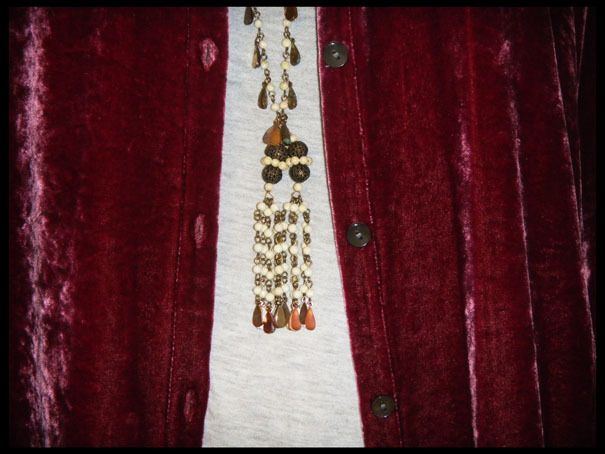 I love the color and had been searching for the perfect velvet item, I found it in J. Jill. It's amazing what you can find in the strangest places. I also have another black velvet shirt from them as well, it was a velvet gold mine. It's funny that I have so many shoes, yet I wear the same four or five on repeat... lol. Oh well, they make nice apartment decorations! My Free People necklace was a gift from my mom for Christmas (or my birthday?) several years ago. I love it! It's such a unique piece, and spices up any outfit. Mom, if you're reading this, the necklace was definitely a successful purchase bravo, I'm proud of you. 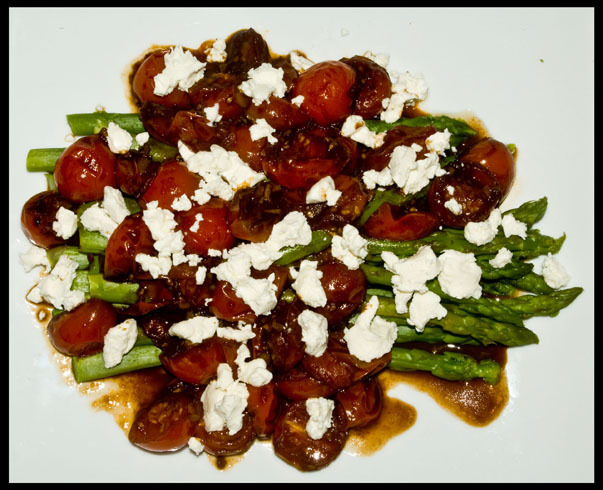 I made balsamic asparagus with roasted cherry tomatoes and goat cheese. To sum it up in one word, yum. I'm obsessed with goat cheese it makes every and anything good. On a different note, when I was little I used to LOVE old movies. I just couldn't get enough. Everyone thought I was bizarre, instead of watching Sponge Bob I was watching Some Like it Hot. There's something about the acting back then, and the sets, that's just so classic and beautiful. Elizabeth Taylor was a wonderful actress, I was saddened today when I read she passed away. When I talked to my dad about it he said, "She lived a good life". I think that's definitely the best way to think about it. i love the velvet! your mom seems to have such good style! with the top, and the free people necklace she got you! and what you made looks really really good! Really nice leopard print pumps! Great outfit! And that food looks delicious, give us the recipe! Yummmm. I love the velvet. It's beautiful! 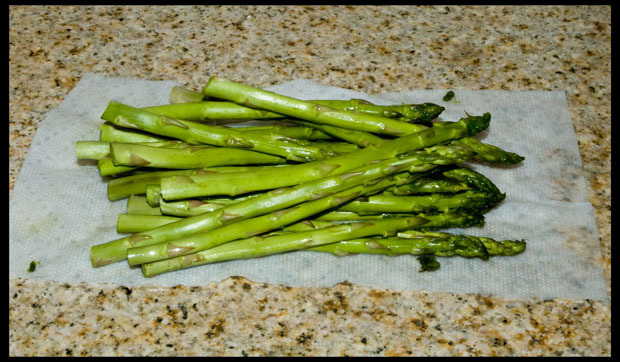 The asparagus looks amazing. Elizabeth Taylor was a beautiful woman. Cool! My mom and I sometimes sbuy/wear same things, it's so cool cause sometimes I get to have more colors of the same item, Would you belive me if I say I don't own a single velvet thing? ... I love velvet, but have never found the right piece, yours is lovely, great shoe choice! hi! i just discovered your blog and had to tell you i love your style!! your leopard print flats are SO cute! i'm a new follower and would love for you to visit and follow me too! love how velvet looks on you!! love the combination of the leopard and red velvet! Cute outfit! I love your hat! Dude, KUDOS for finding a gem at J. Jill. I'm all about finding gems in unlikely places. Great find!!! Thanks so much for the recommendations!!! I'm definitely allotting a big chunk of time for wandering around soho, but I'm going to see if there's time for Nolita too - it sounds amazing!! I Love your shoes, love them. haha that face is cracking me up! i love that hat and the shoes are adorable :) i just wrote back to your email! Love the velvet, such a beautiful material. I also really like your leopard shoes. Cute pictures! i like how you wear the velvet shirt, is a great outfit. Love your cardigan sooo much. Great outfit. Love, Charlotte. awesome! i really love it and also love your dinner! 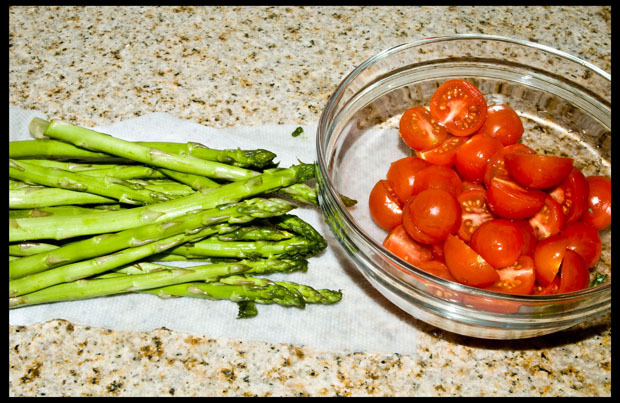 :) looks delicious and healthy! I love your velvet shirt! the colour is perfect! Love the necklace and the asparagus salad looks so fresh. Hi. I'm a stylist in LA and I'm totally obsessed with your blog. I'd love if you visited my new blog for multiple posts a day on all things fashion. I just moved to California after graduating back in south with a degree in visual merchandiser. In attempt to get my heel in the door, I've launched a site all about celebrity fashion and the trends that create it. Check out what Vanessa H was wearing when I ran into her last week and find out what her go-to fash item is. I'd love the support. I'm following you, I hope you'll do the same. Thanks so much. wow I love the accessories you are wearing! Who is your large black ring by? Great blog! Wow gorgeous look! 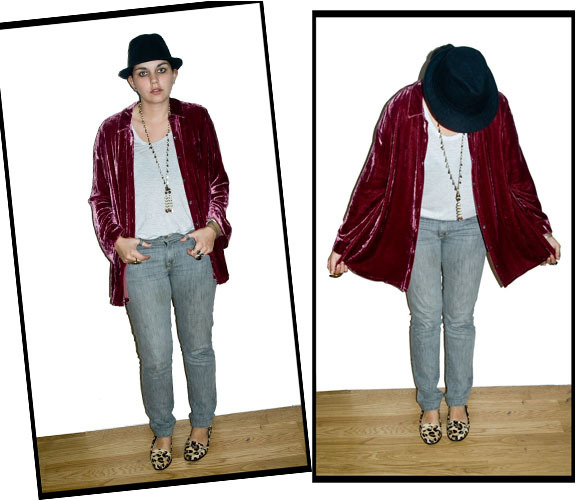 I love the velvet, and the way you accessorized it with the hat and those amazing leopard print shoes!! Fabulous! I'm hungry and this post made me hungrier! The leopard flats are GREAT! I have the same leopard shoes! They are awesome!